Premier Inn Portsmouth City Centre is close to the Portsmouth & Southsea train station, roughly a 15-minute walk from the ferry port, and close to the University of Portsmouth. Ideal for shopping at the Cascades Shopping Centre or Gunwharf Quays. Book direct for the best Premier Inn Portsmouth deals. ​Located on the A27 near junction 12 of the M27 and A3, just 5 miles from Portsmouth city centre. Convenient for Portsmouth ferry port and Cosham train station. Local attractions include Gunwharf Quays and Port Solent Marina. This Premier Inn has free on-site parking and a Beefeater restaurant. Book direct for the best Premier Inn Portsmouth offers. Close to junction 12 of the M27 on a development with restaurants shops and a multiplex cinema. Within easy reach of the Continental ferry port, the Isle of Wight ferry, Port Solent Marina, the Historic Dockyard, and the Southsea seafront. 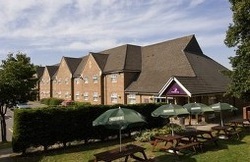 This Premier Inn offers an on-site Bistro and restaurant, air conditioned rooms and free parking. 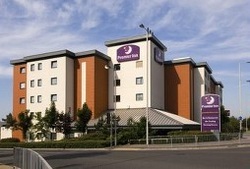 Book direct for the best Premier Inn Portsmouth offers.